This is an almost archetypal example of hard-boiled fiction. You have a desperate man and an amoral woman, and when they get together they’re much worse than they could be on their own. They commit a crime and think are free from it, but there’s no getting away from the things you’ve done, and they just sink deeper into trouble. What looked like getting away with murder was only cosmic justice delayed for a brief moment filled with the apprehension of doom. The narrator is Frank Chambers, a drifter in his twenties who shows up penniless at a small, isolated gas station and restaurant run by a Greek immigrant who asks him to stay on as a helper. The Greek has a younger wife, Cora, who is resentful of her marriage, where she feels she traded away too much of what else life has to offer for her current dull stability and security. 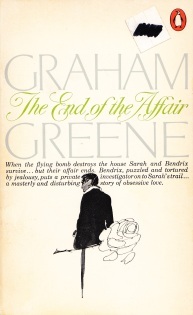 Frank and Cora begin an intense affair, and soon decide they need Cora’s husband out of the way if they want to have a future together. 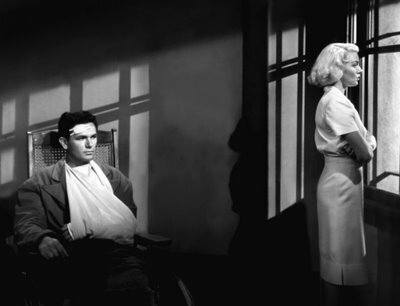 This book has two notable Hollywood adaptations, in 1946 in a film-noir styled effort, which I think is the better of the two, and a production from 1981 starring Jack Nicholson and Jessica Lange, which tried to capture more of the grittiness and sexuality of the book, but I didn’t find quite as effective. Reading this novel, I also realized what a strong influence it was on the Coen Brothers’ The Man Who Wasn’t There, especially in the death-row confessional framing story, and the theme of fate coming back around if you avoid it the first time. 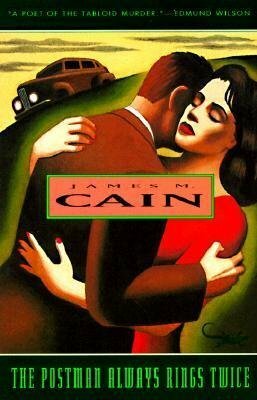 This was the first I’ve read by Cain, but it was great, and I’m looking forward to reading more of his works. Dark, nasty, and wonderful.